What does the Conservative manifesto mean for motorists? The Conservatives have pledged a £600 million investment towards zero-emission cars by 2020 should they win next month’s general election. It comes as prime minister Theresa May launches her party’s 2017 manifesto as part of her plans to “build a stronger, fairer, more prosperous Britain” following Britain’s exit of the UK. The Tories are also pledging to develop the strategic road network, providing extra lanes on UK motorways and improving key routes. The manifesto also says it’ll pay attention to parts of the country left behind by poor transport connections, and will invest in roads to fix pinch points. What does the Labour manifesto mean for motorists? What does the Lib Dem manifesto mean for motorists? our plans to use digital technology to improve our railways, so that our roads and tracks can carry more people, faster, more safely and more efficiently,” adds the manifesto. 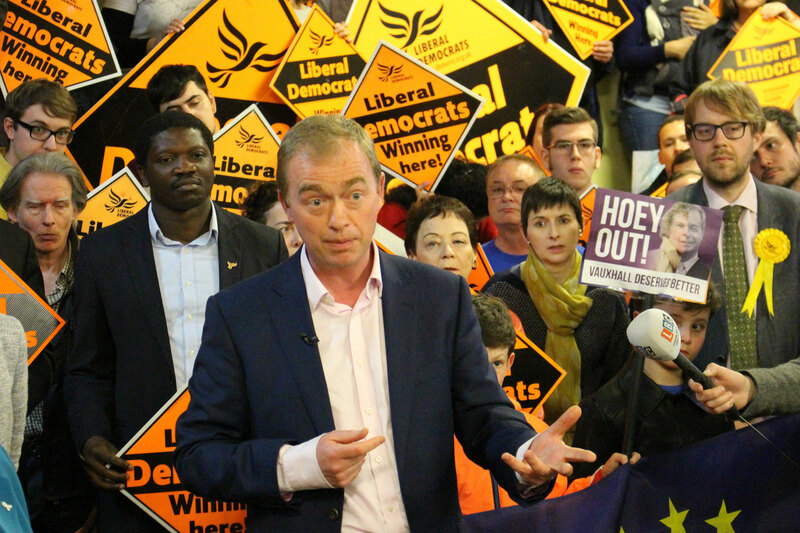 Yesterday, the Lib Dems launched their manifesto, pledging to introduce a diesel scrappage scheme and ban the sale of diesel cars entirely by 2025. Meanwhile, the Labour Party has said it will upgrade roads in a bid to reduce congestion and scrap tolls on the Severn Bridge. Andrew Brady https://www.motoringresearch.com/wp-content/uploads/2018/12/mr-top-motoring.svg Andrew Brady2017-05-18 14:36:422017-05-18 14:36:42What does the Conservative manifesto mean for motorists? The Lib Dems have pledged to improve air quality by introducing a diesel scrappage scheme, banning the sales of diesel cars by 2025 and develop the UK’s electric car charging infrastructure as part of their 2017 manifesto. “Air pollution in the UK is a killer,” reads the manifesto, which was published this morning. “It contributes to 40,000 premature deaths a year and costs the NHS £15 billion. This year, London exceeded its annual air pollution target in just five days. The government has failed time and again to comply with EU limits on pollution. A diesel scrappage scheme was proposed earlier this year by the Conservative chairman of the Environment, Food and Rural Affairs Committee, Neil Parish. He said the scheme would target ‘pollution hotspots’ and encourage drivers of diesel cars made before 2005 to trade into a more environmentally-friendly vehicle. The centre-left political party has also said it will reverse the decline in bus services and shift freight from road to rail if it comes into power following the general election on 8th June. The news follows yesterday’s pledge from Labour to scrap tolls on the Severn Bridge and improve Britain’s road network to reduce congestion. Andrew Brady https://www.motoringresearch.com/wp-content/uploads/2018/12/mr-top-motoring.svg Andrew Brady2017-05-17 12:45:582017-05-17 12:45:58What does the Lib Dem manifesto mean for motorists? Labour has pledged to upgrade highways, strive for zero road deaths and axe the Severn Bridge toll as part of its 2017 manifesto, published today. 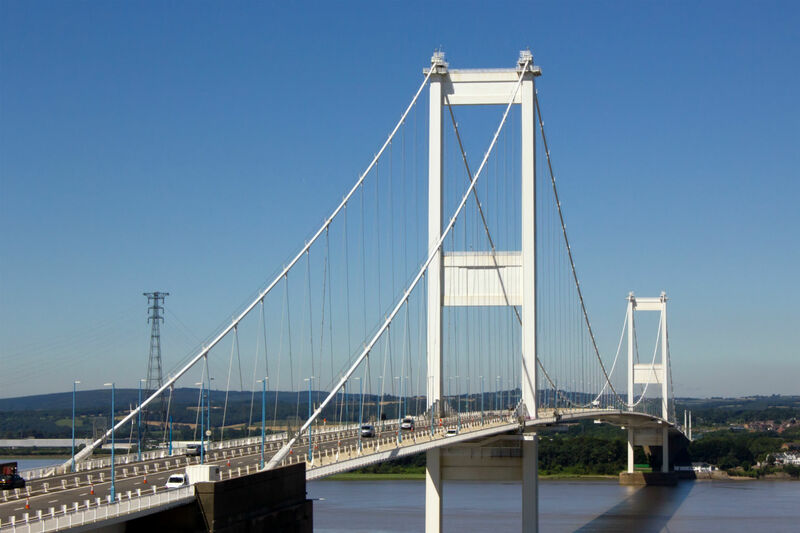 It adds that Labour pledges to work with the Welsh Government to scrap tolls on the bridge, which carries the M48 motorway across the Severn from Gloucestershire to Monmouthshire. Currently a toll of £6.70 applies to cars crossing the bridge from England to Wales, while HGV drivers pay £20. It’s free to travel in the opposite direction. The Conservatives are yet to announce their manifesto, but prime minister Theresa May has previously pledged to scrap the Severn Bridge toll for the 25 million users who cross from England to Wales every year. 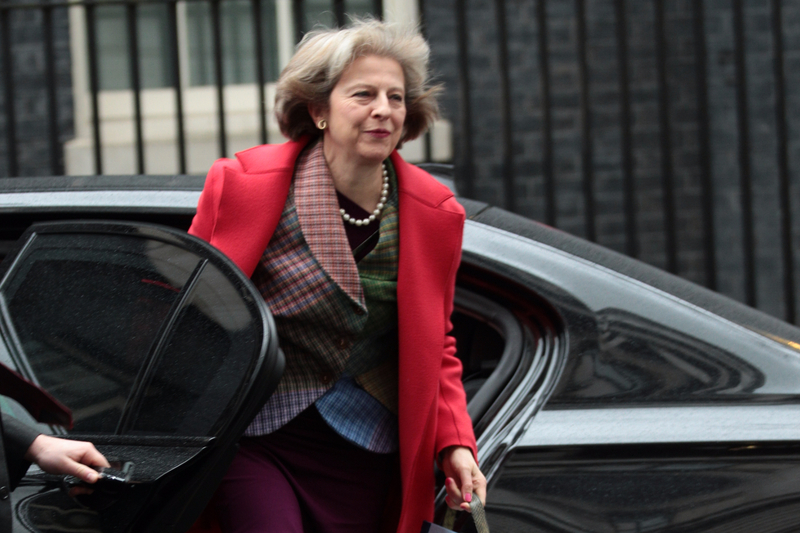 She said: “I want to ensure that our economic progress is shared across the United Kingdom. By abolishing tolls for 25 million annual journeys between two nations we will strengthen the links between communities. “This will drive economic growth right across the country helping key economic centres in Cardiff, Bath, Bristol and Newport. The centre-left party has also said it would upgrade the UK’s national cycle network and upgrade the most polluting buses to meet Euro 6 standards. Andrew Brady https://www.motoringresearch.com/wp-content/uploads/2018/12/mr-top-motoring.svg Andrew Brady2017-05-16 16:27:182017-05-16 16:27:18What does the Labour manifesto mean for motorists? David Cameron has reportedly bought his wife Samantha an old Nissan Micra from a secondhand car dealership close to his home in Oxfordshire. Identified as a 2004 blue Nissan Micra bought for £1,500 by the Mail Online, a search on eBay reveals the actual car bought by Cameron – and removed from the internet auction site by the seller this morning. 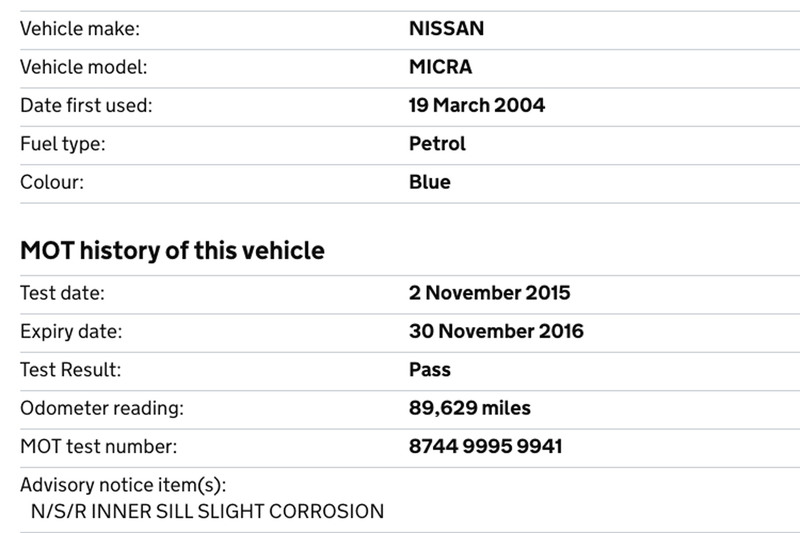 Shockingly, a search of the 90,000-mile car’s MOT history reveals that it might not be the wisest used car buy – as it received an advisory on its last test for corrosion. Harris said that Cameron refused to look at any of the more expensive cars on his forecourt, insisting he was only interested in the British-built Nissan Micra. 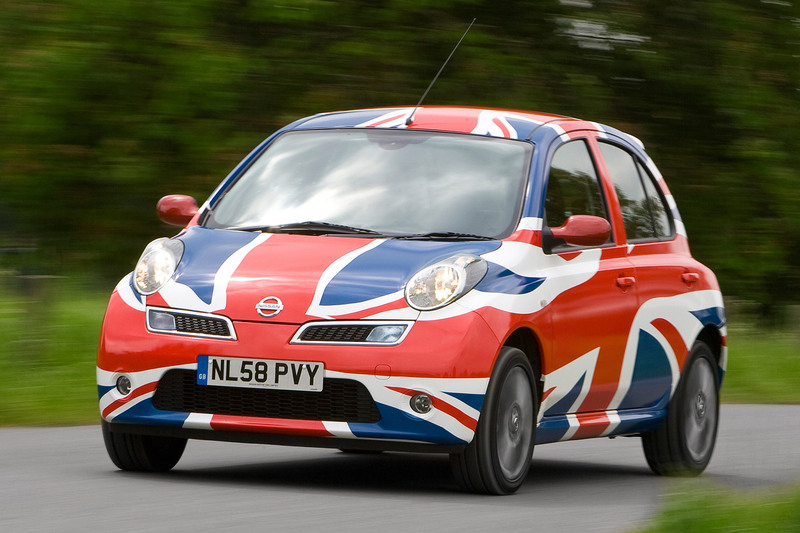 The third-generation model was the last Nissan Micra built at the firm’s Sunderland plant in the UK. Its successor is a ‘world car’, built in Thailand, Mexico, China and India. UKIP has announced in its manifesto that it wants to scrap vehicle excise duty (VED) for all vehicles over 25 years old. 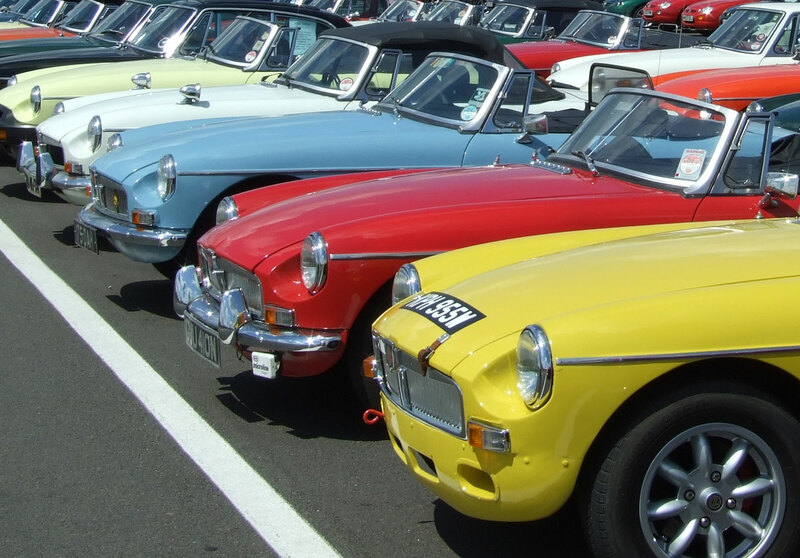 The political party, led by Nigel Farage, says the move is an attempt ‘to help protect the enduring legacy of the motor industry and our classic and historic vehicles’. It’s also said it would remove road tolls where possible and only allow speed cameras to be installed in accident black spots and close to schools and residential areas. HGVs coming into the UK from Europe would be hit with a levy of up to £2,000 under UKIP’s manifesto – giving UK hauliers a chance to compete with lorries travelling from the continent. The party says foreign registered HGVs are at an unfair advantage due to cheaper fuel prices in Europe – but it hasn’t said whether duties on petrol and diesel in the UK would change. Meanwhile, the Lib Dems announced in the manifesto today that they want all cars banned from the roads by 2040, apart from ultra-low emission vehicles (emitting less than 75g/km CO2) and those used to transport goods. In its manifesto, the party pledged to ‘work with industry to accelerate the commercial introduction of zero emission fuel cell electric vehicles, and facilitate the UK-wide introduction of hydrogen fuelling infrastructure’. It said they would also look into upgrading the UK’s road network to cater for driverless vehicles. Road tax would also be restructured to encourage reductions in CO2 emissions – and diesel cars would be taxed differently to petrols. 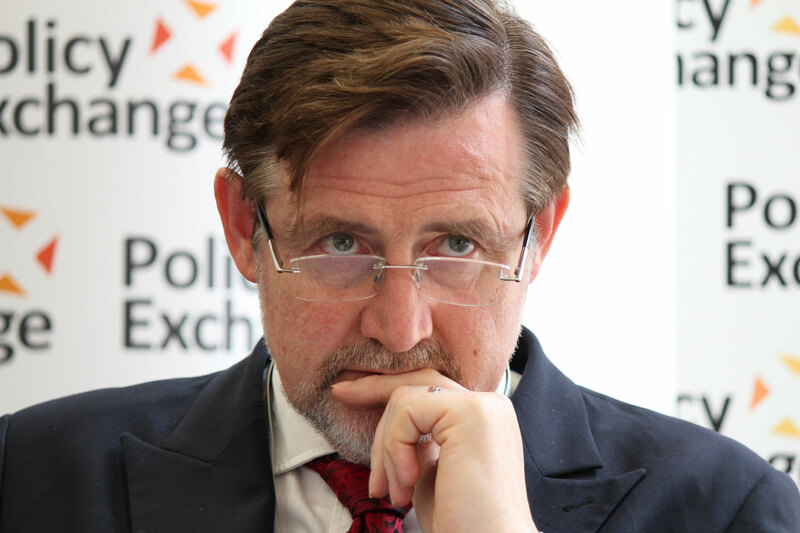 Labour’s shadow environment minister Barry Gardiner has admitted that the party made the wrong decision to base car tax on CO2 emissions, encouraging people to buy diesel cars.